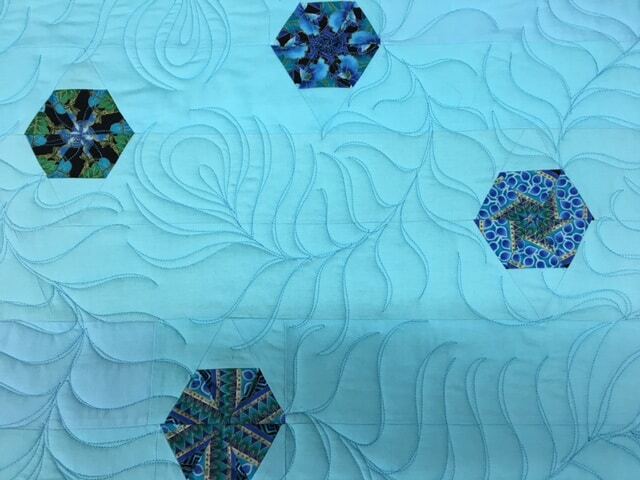 Colleen emailed me and told me that The Peacock has been quilted and is ready for me to pick up. I have to admit that I was kind of wondering where it was, so I was glad to get the email. The feathers look great and I can’t wait to see the rest. I also can’t wait to finish it and get some fabric usage in the win column.